Alameda California based satellite delivery company Astra contracted me to create a modular patch for their first series of launch missions. 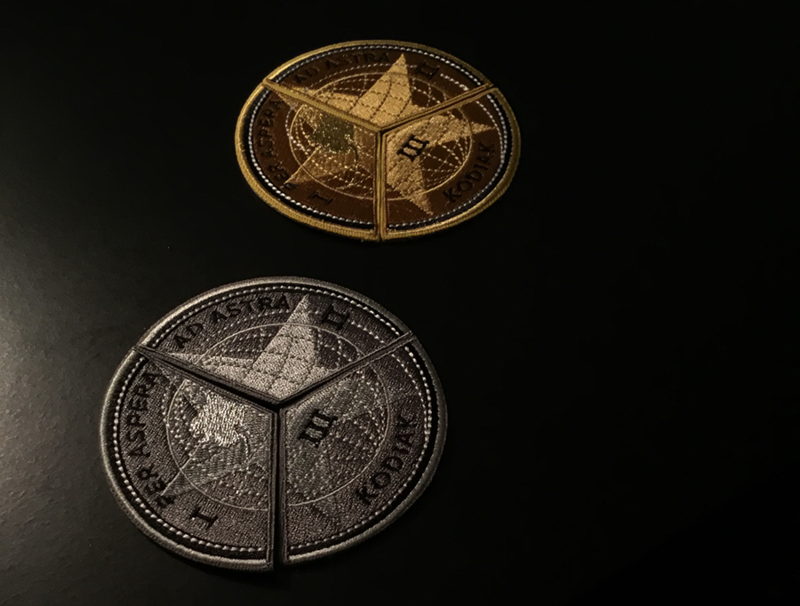 The patches were designed so that the gold and silver wedges could be interchangeable depending on an employees involvement in each stage of the mission. The design went through a number of iterations and shapes before arriving at the final three-wedge incarnation. The design and symbols on the patch are an homage to Air Force test flight patches and early NASA mission patches. The launch site of Alaska appears in metallic thread along with a dotted line trajectory that flows through each wedge around the shape of the globe. Each wedge also includes its mission numeral and the first two wedges together form the phrase “PER APERA AD ASTRA” which roughly translates to “Through hardship to the stars”. Below are some of the variations that I presented to the client and some of the early sketches to help determine the motifs and shapes of the patch.